On Monday, Gov. Rick Scott declared a state of emergency for Collier, Lee, Charlotte, Sarasota, Manatee, Hillsborough and Pinellas counties due to the continued red tide problem. Scott issued an executive order on Monday afternoon. “As Southwest Florida and the Tampa Bay area continues to feel the devastating impacts of red tide, we will continue taking an aggressive approach by using all available resources to help our local communities,” Scott said. “Today, I am issuing an emergency declaration to provide significant funding and resources to the communities experiencing red tide so we can combat its terrible impacts. This includes making additional FWC biologists and scientists available to assist in clean-up and animal rescue efforts, more than $100,000 for Mote Marine Laboratory and $500,000 for Visit Florida to establish an emergency grant program to help local communities continue to bring in the visitors that support so many Florida families and businesses. Scott sent the funds to Mote Marine Laboratory and Aquarium to “increase its response to red tide impacts” and help the facility. The governor also ordered the state Department of Environmental Protection and the Fish and Wildlife Commission (FWC) to continue to provide data. With tourism remaining a cornerstone of Florida’s economy, Scott ordered Visit Florida to use the emergency grants to help communities hurt by the continued red tide problem. My question,like many others is what are they doing to resolve this issue??? Especially with the algae bloom from Lake O??? 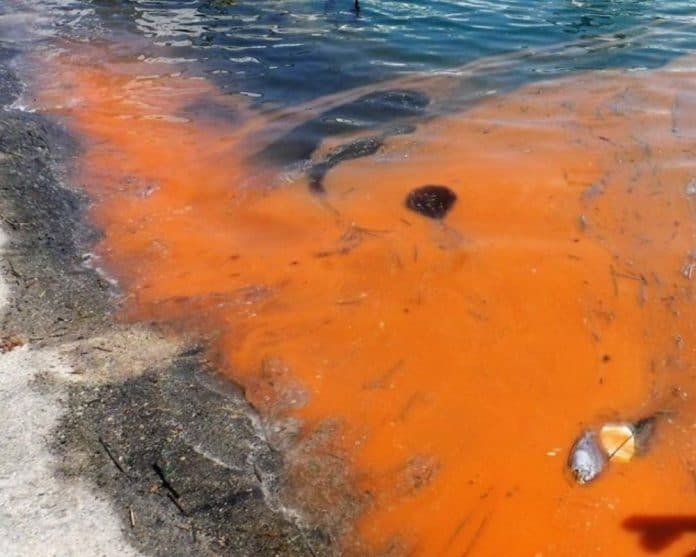 Red Tide happens every year, does this year happen to be the worst? Coincidence??? Everything dies in its wake anyways so you wouldn’t be killing off anything except the Algae if it were sprayed with something to kill it.Have the pesticide formulated just strong enough to kill the algae.